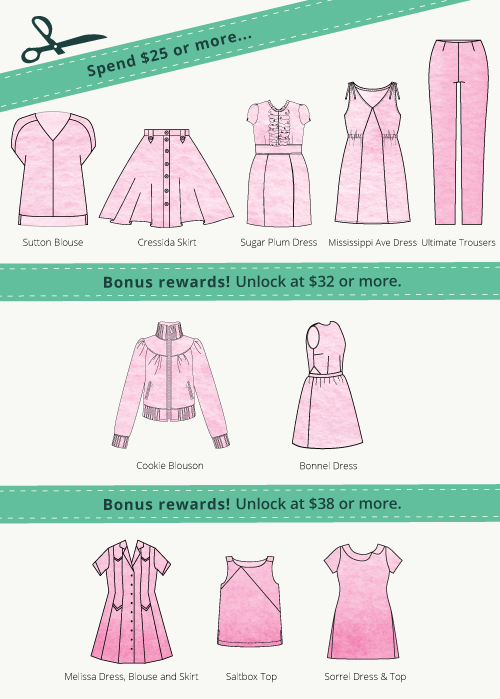 Sew Indie Month Pattern Bundle! Today’s post is a two-part deal. The first bit gives me chance to tell you about the awesome Sewing Indie Month pattern bundle that is currently available to buy and the second bit is where I share what I’ve made from the bundle! So first things first! Sewing Indie Month (SIM) is a month-long celebration of indie sewing patterns full of fun blog posts, informative tutorials and great competitions. This September head over to SewIndependent.com. It’s being hosted by the charming Mari from Seamster patterns who took over the site when Donna decided to step down. SIM is accompanied by a sewalong contest with fantastic prizes. This sale gives you time to make muslins (vital in my mind) before the contest begins while also supporting small women-owned businesses and raising money for charity. BOOM – double win. And the brilliant pay what you want system is in place for the bundle too! The more you pay, the more rewards you’ll receive. The sale isn’t over until Wednesday August 12th. So head on over here for your chance to buy! Plus 20% of bundle proceeds will be donated to the International Folk Art Alliance, which provides education and exhibition opportunities to folk artists from around the world. Just a few examples of what the International Folk Art Alliance has been able to accomplish by helping artists create stable, year-round livelihoods includes helping shelter women from domestic violence in Ecuador, building a school for children in Pakistan, empowering women in repressive cultures around the world, and feeding villages in Niger. So what did I make? 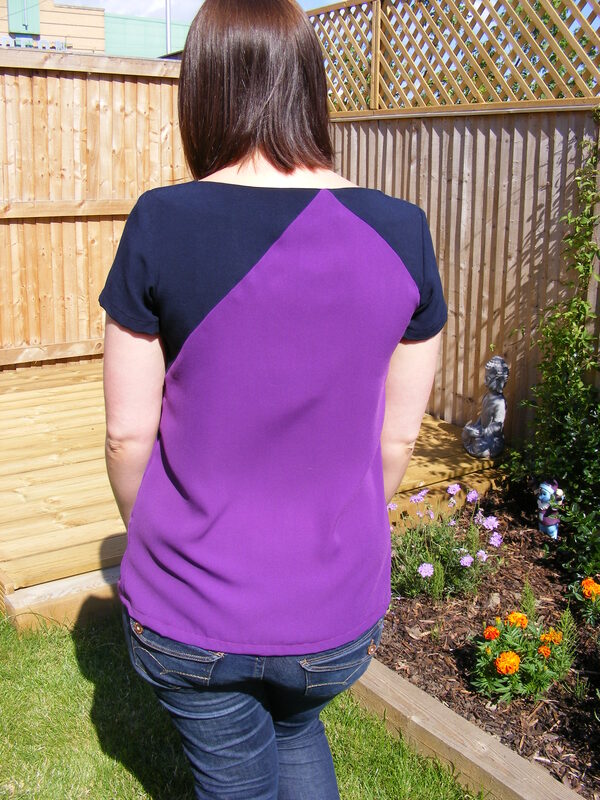 I chose the Saltbox top! The asymmetrical inset just looks so cool. And the opportunities for colour blocking got me giddy. 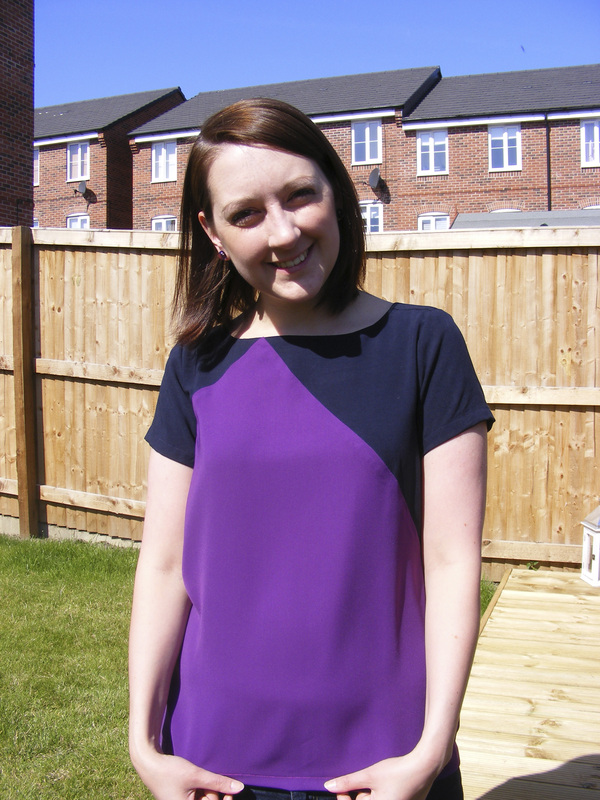 I used left over navy and purple viscose scraps – this is a GREAT scrap busting project – and decided the vivid purple would look great on the main bulk of the top. I’m really pleased with my points a the top of the inset. Especially on the front! It was a little confusing at first how to assemble the pieces but I just followed the instructions to the letter and suddenly it looked right heehee. The sleeves fit the best I’ve ever set in. This is a major thing for me. I apparently have chunky backs of my upper arms – yes that is a thing. So so happy with this little make. 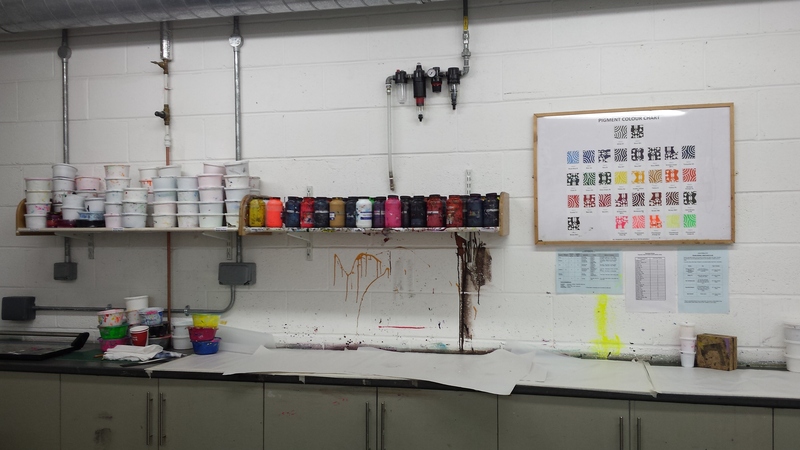 I thought it was about time for a full round up of my Textile Printing course. This is going to be picture heavy I’m afraid and I’ve not even included all the pictures! Weeks 1 and 2 we worked with disperse printing using heat set dyes on man made fabrics. 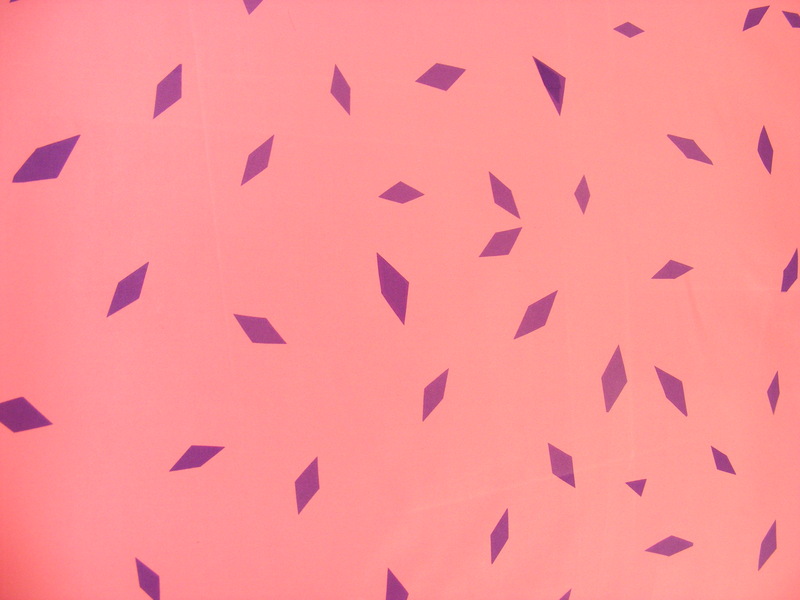 Using paper soaked in dye and a giant heatpress, I played with geometric shapes on coloured polyester and crepe. Week 3 we made paper stencils using scalpels and when taped to mesh screens we could pull binder ink through onto any fabric we liked. Mine was an utter disaster due to poor squeegee technique and rubbish stencil. 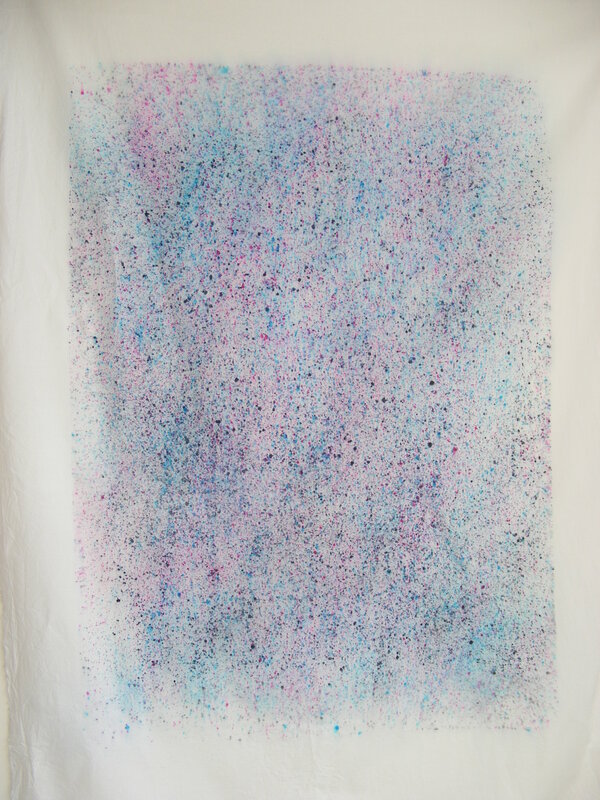 Week 4 was about free form painting direct onto a screen using Procion reactive dyes. 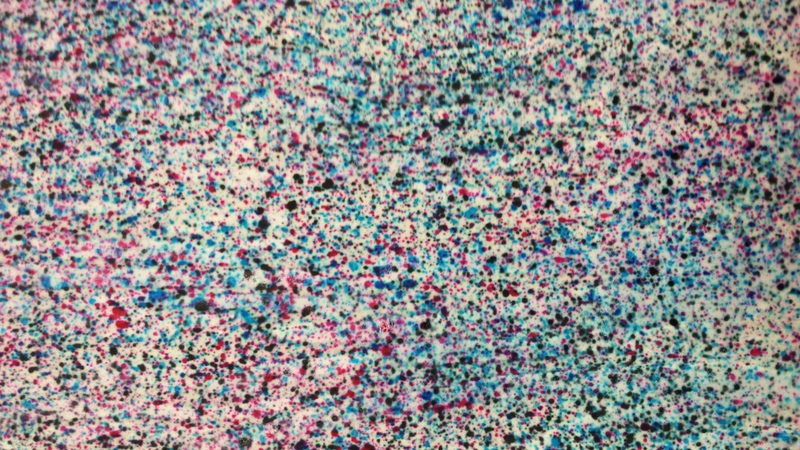 I printed a splatter print onto cotton lawn and silk. Weeks 5 and 6 we prepped for future sessions by coating screens in light sensitive emulsion and thanks to a huge light box we exposed imagery onto the mesh. We drew the images in thick black pen to act as positives and when the screen was exposed the black areas washed away creating a negative that would allow ink to pass through in just those areas. I chose pineapples!! While our screens set we also dyed silk, satin, velvet and cotton in big pans using tiny amounts of dye and lots of hot water. Excitingly I also got to use the digital printers while our fabrics soaked! 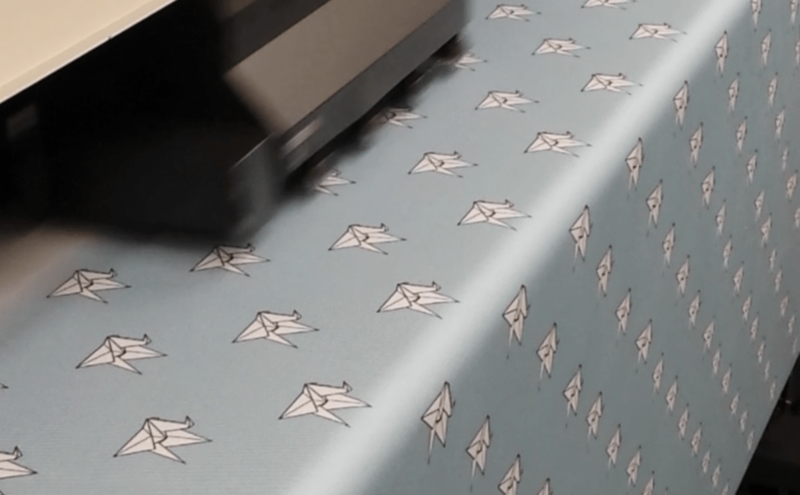 I printed 1.5m of paper crane print cotton drill and 1.5m of painterly triangle print silk. Week 7 was the start of my pineapples adventures! 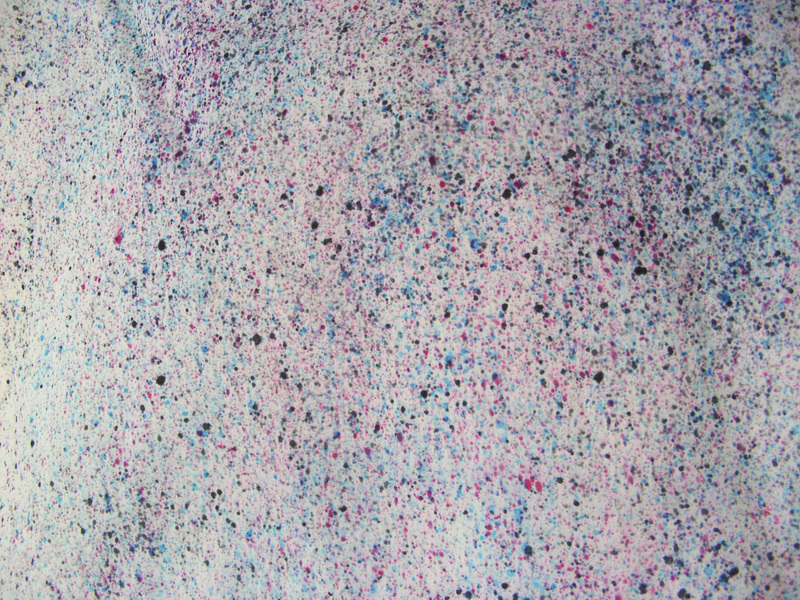 We pulled binder ink through our screens onto any fabrics we wanted. 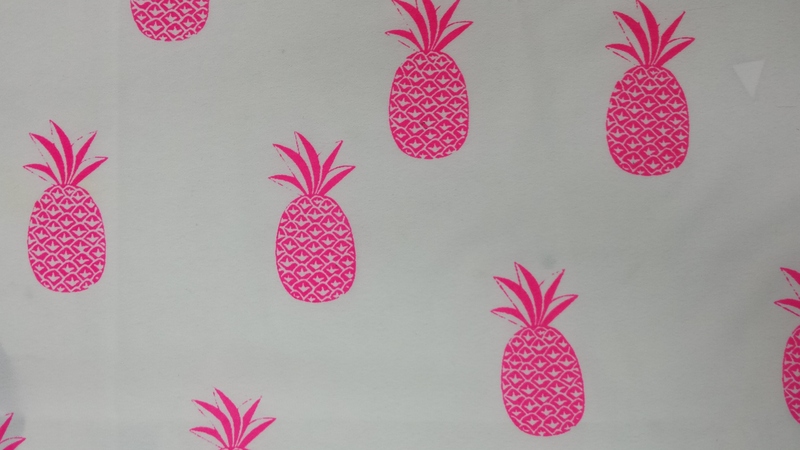 I chose to print fluorescent pink ink on white cotton and crepe de chine and black ink on brown polyester. 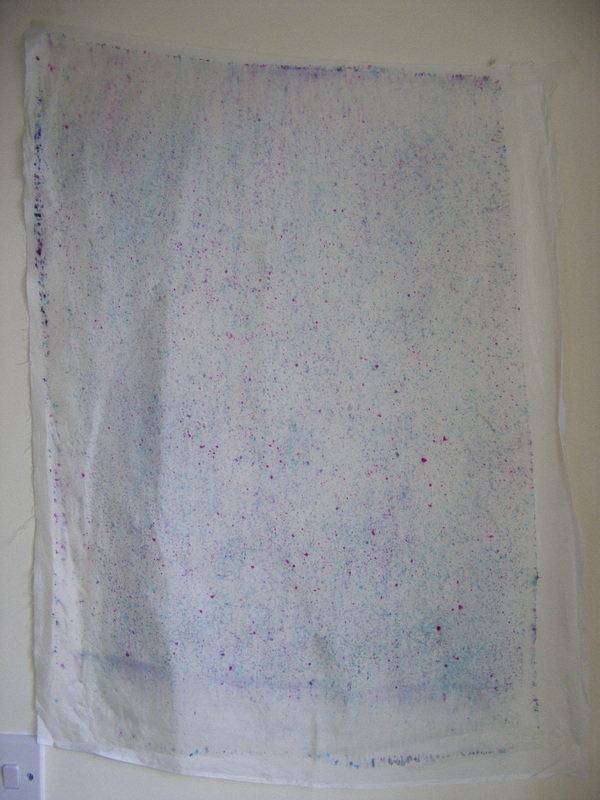 Week 8 we tried discharge screenprinting where a smelly seaweed-based paste bleaches the colour from dyed fabric. As well as devore printing which removes cellulose fibres leaving the man made fabric base behind – e.g removing the nap from velvet to create a relief. 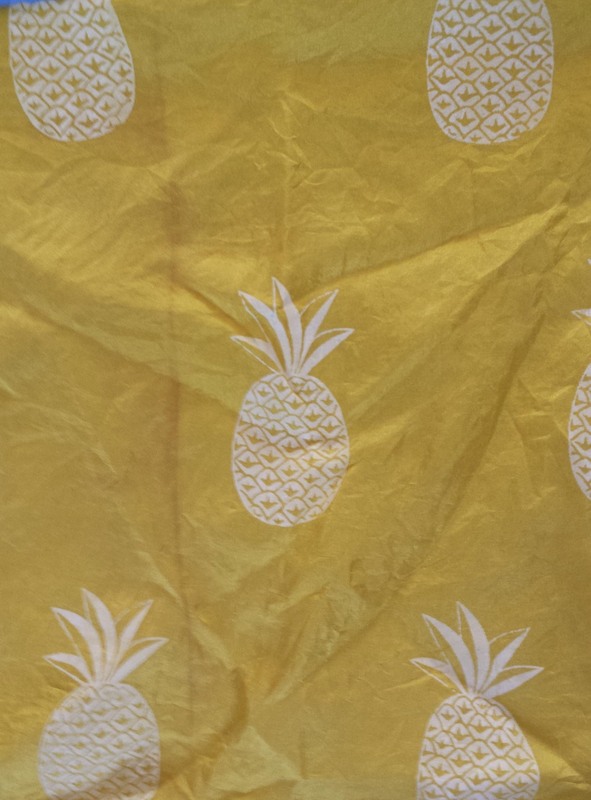 I used my pineapple screen again to discharge print on my dyed cotton and silk. 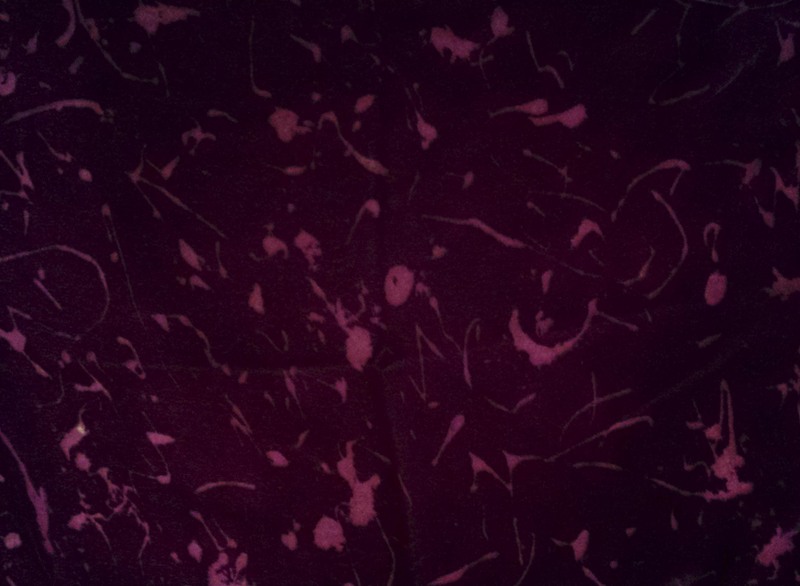 And freestyled a brush painted devore print on my dyed satin and velvet. 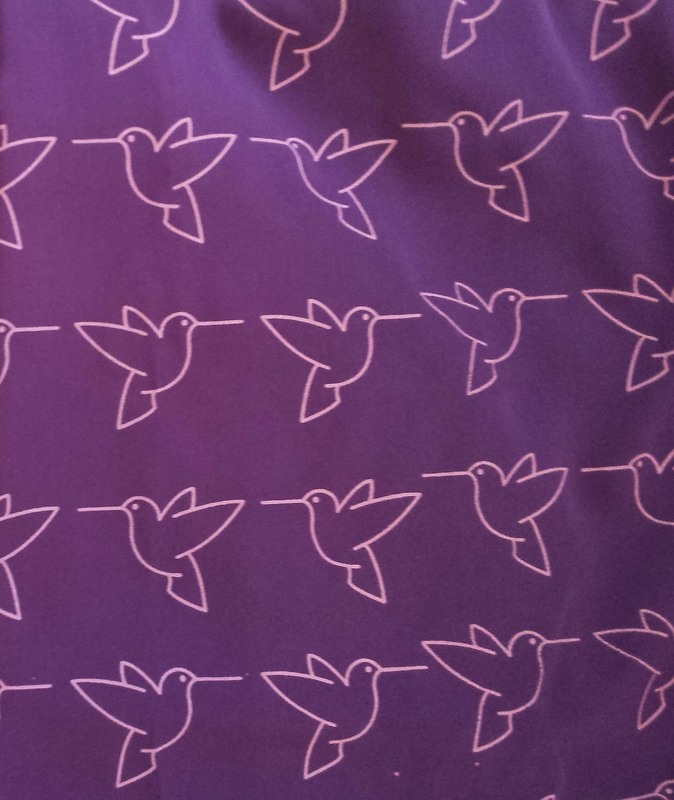 Weeks 9 and 10 I decided to expose a new screen with hummingbirds and printed onto some colourful viscose. I printed teal ink on pink and pink ink on purple. Plus I had time for a sneaky little bit more disperse printing. It was such a wonderful course, I’m actually a little sad I can’t repeat it next term but I’ve already signed up to a pattern drafting course. 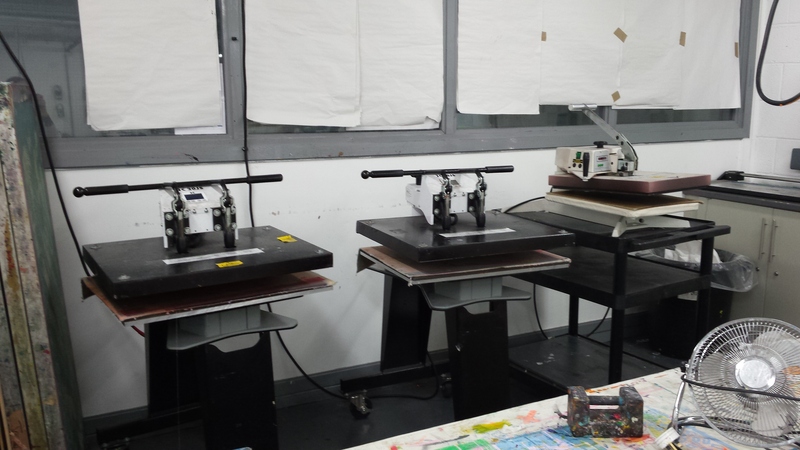 Here are the details for Textile Printing: The course I did was a short evening course run by Leeds Art College, over 10 weeks for 2.5hrs. 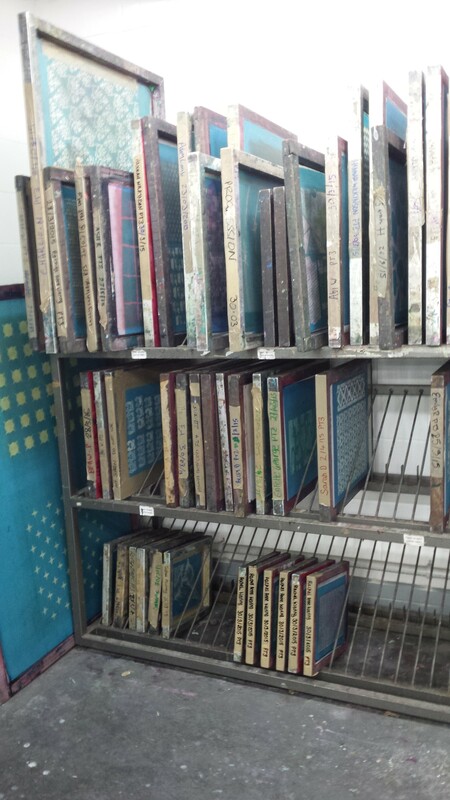 The tutor is Kirstie Williams who also runs independent print courses. 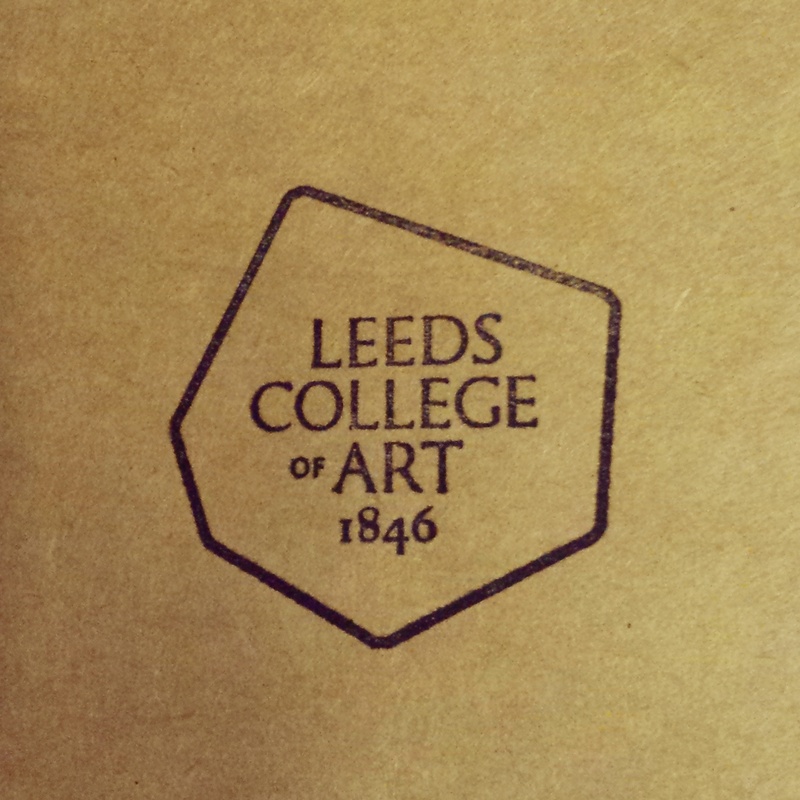 The course costs £185 with all materials provided but you bring extra if you want to print something specific. 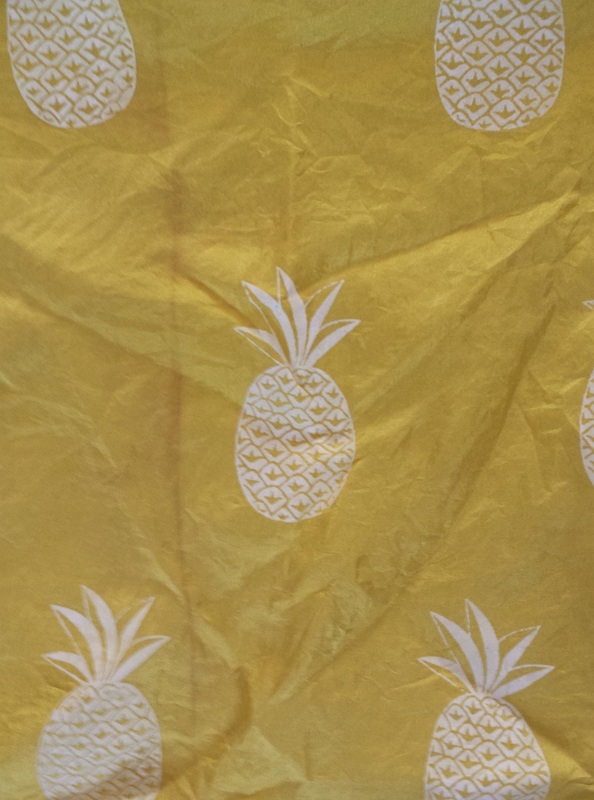 I ended up with enough fabric for 3 dresses, 4 tops, and plenty of A2 pieces for tote bags or small garments – silk pineapple knickers perhaps?! The new term starts in a couple of weeks so I suggest you sign yourself up asap if you’re interested! Hello everyone. I’m back to share some progress from my textile printing evening class! For Week Four we used Procien dyes to hand paint screens and used a substance called manutex to push the colour onto the fabric. Now being a terrible freehand artist this scared me. I started obsessing over what was the simplest geometric shape I could draw without it looking wobbly and crap. Then I realised I could splatter my dye like Jackson Pollock! So I investigated a couple of techniques – dribbling and spraying the dyes. My tutor advised spraying by flicking the bristles of a brush or toothbrush would be best because the dye has to completely dry before being able to print and thick dribbles might slow things down. I was able to apply three colours (it took 25 mins to dry in between each). You get to print twice with this method. The first print comes out very vibrant and the second ghostly. We were advised to try cotton first, then silk. My cotton lawn turned out better than I could have hoped when I first lifted the screen. But it did fade after steam setting. Still pretty but not as intense colours. The raw silk turned out pale and delicate. 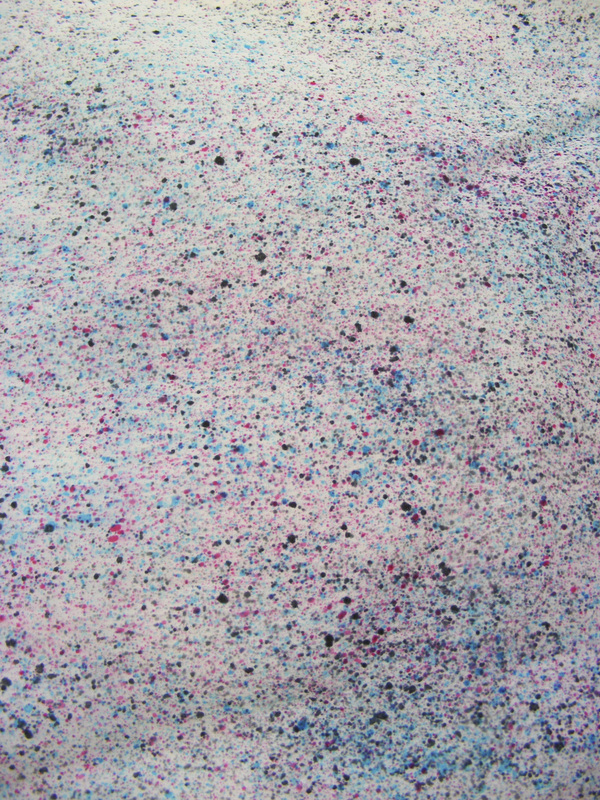 I’ve got extra of the cotton lawn and silk unprinted so I think I can make two tops with splattered fronts or use the prints as accents. I’m still working it out as I know I won’t have time until the end of the course to sew anything up. 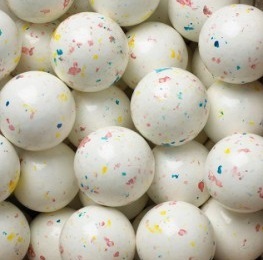 Both prints sort of remind me of Jawbreaker gobstobbers… which I like. Procien is the principal brand name for what are actually reactive dyes. They take their name from their ability to form strong covalent bonds with cellulose fibres, resulting in excellent washing and light fastness properties. This process can be used on all types of cottons and viscose rayon but also work quite nicely on raw silk. So basically natural, smooth close-woven fabrics. 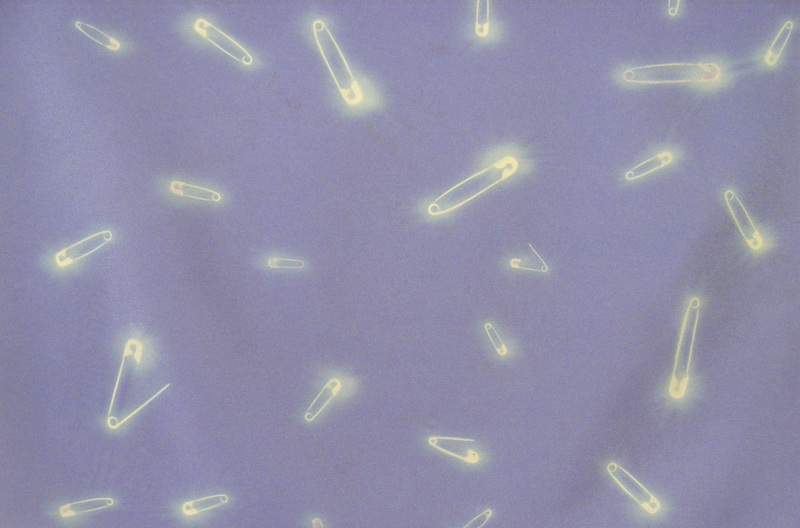 Dye is applied by hand-painting directly onto the screen. 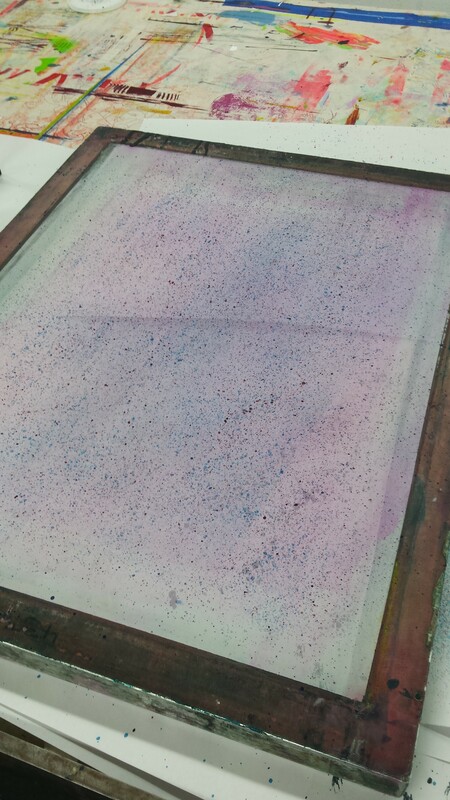 Manutex is an Alginate based thickener made from seaweed that can be used to thicken Procion dyes for screenprinting OR as we used them, as a “pulling” agent to push the dyes through the screen. PHEW! So a lot of info in this blog post and I don’t know whether you’re all finding it interesting. I hope you are enjoying reading my updates as much as I’m enjoying the classes. I’ll be back soon with finished sewing, I promise. I just need to upload my photos! The first blog post back after Christmas is always an odd one. You get slightly out of the habit don’t you. I’m here to share some pics of a shirt I made as my Dad’s Christmas present as well as a few other things! The fabric is from Fabrics Galore who had a few different bolt ends of Paul Smith shirting at their stall at The Knitting and Stitching Show. 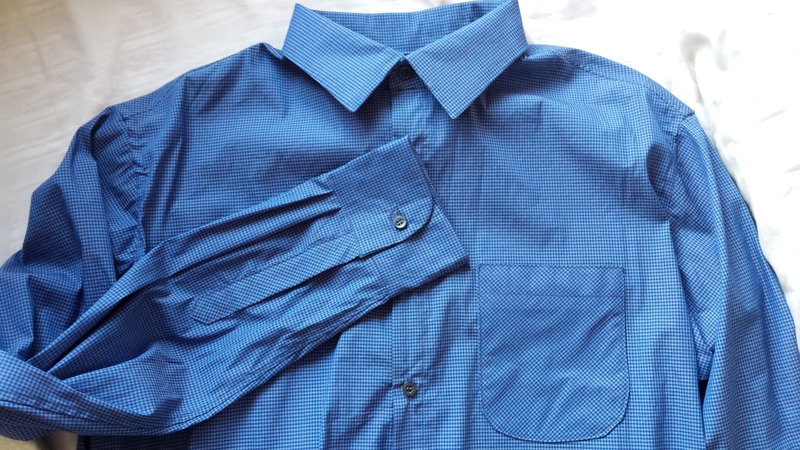 I used one of Dad’s M&S shirt as the template for the pattern, I made a quick muslin to check the pattern and cracked on. Aren’t the colours lovely!? 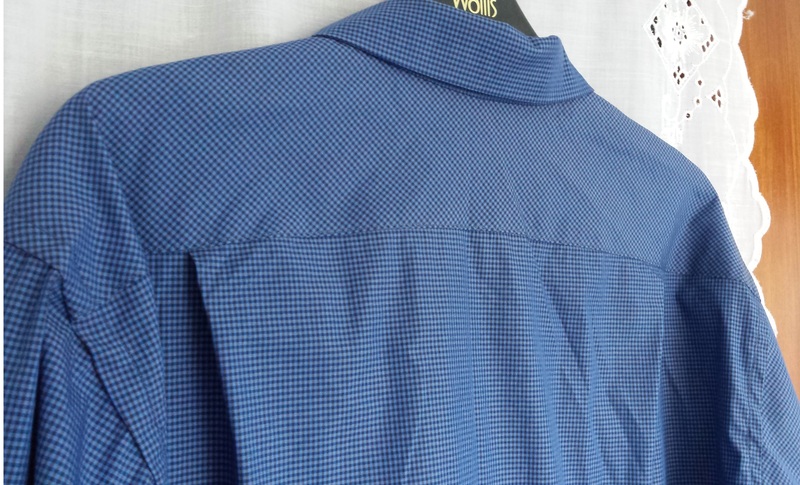 It’s a fun micro-plaid. And it was fun to use bias for the plackets, yoke and pocket. To make it a bit more of a formal I added collar stays using Fiona’s excellent tutorial. I finished it Christmas Eve morning and wrapped it up before heading over. He seemed really happy with the shirt and wore it out for New Year! Result! 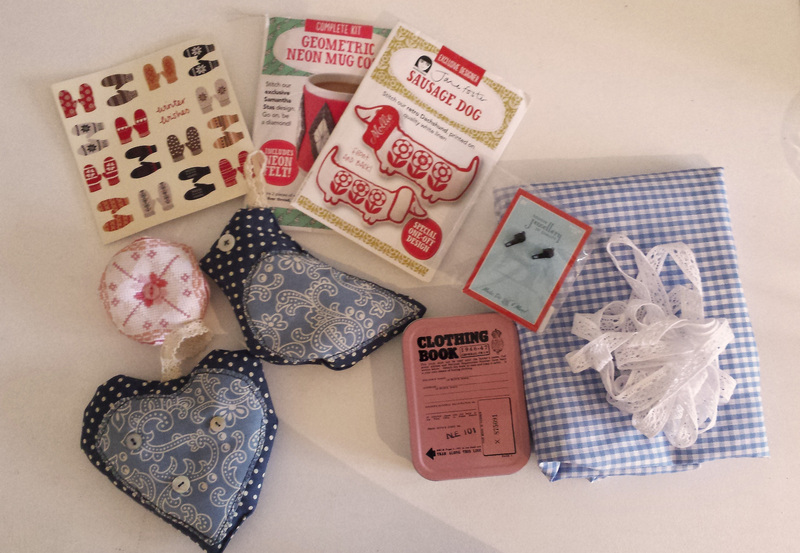 Next up I thought I’d share you what I got from the Sewing Secret Santa that Lisa – Stitched-Up From The Start – organised. My parcel was sent by Teresa at Navy Blue Threads! It was a lovely parcel wrapped in gingham with a lace bow that was chocca full of lovely gifts. She clearly thought so hard about what to pick for me which made me beam. 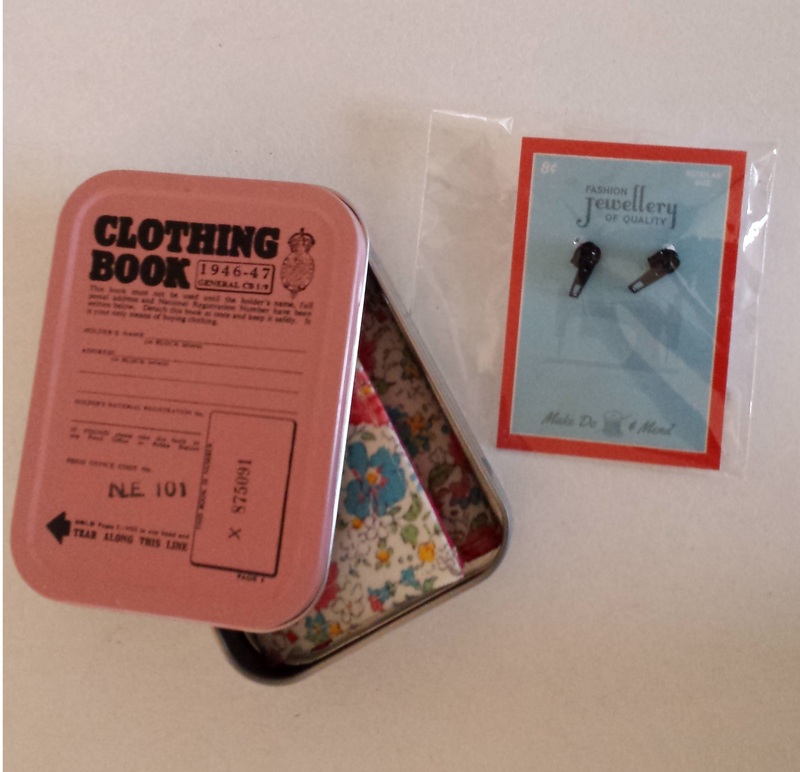 There were handmade lavender hangers, a pin cushion, two cute crafty patterns, a sewing themed tin and needle case, plus saving the best for last… the cutest pair of zipper earrings you ever did see! Thanks so much to Teresa for my thoughtful gifts and to Lisa for organising a fun swap! Over the last couple of months I’ve slowly been gathering supplies for a new jacket. Since making my Anise I sort of laughably said I’d never make another coat or jacket. Well that didn’t last long. 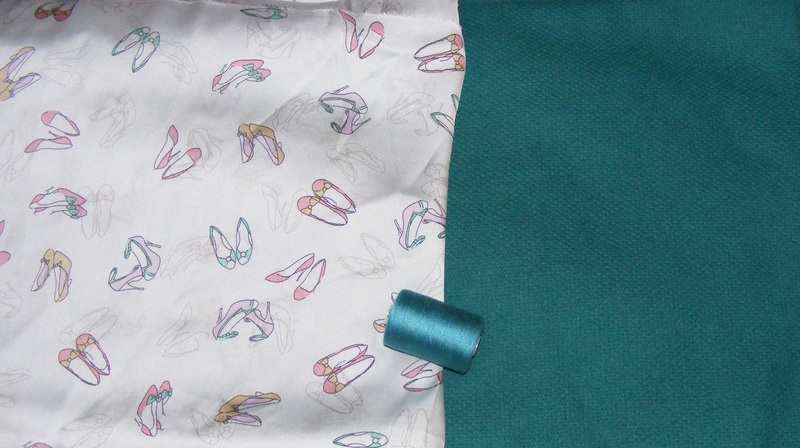 I started in October by whittling my pattern choices down to three favourites. 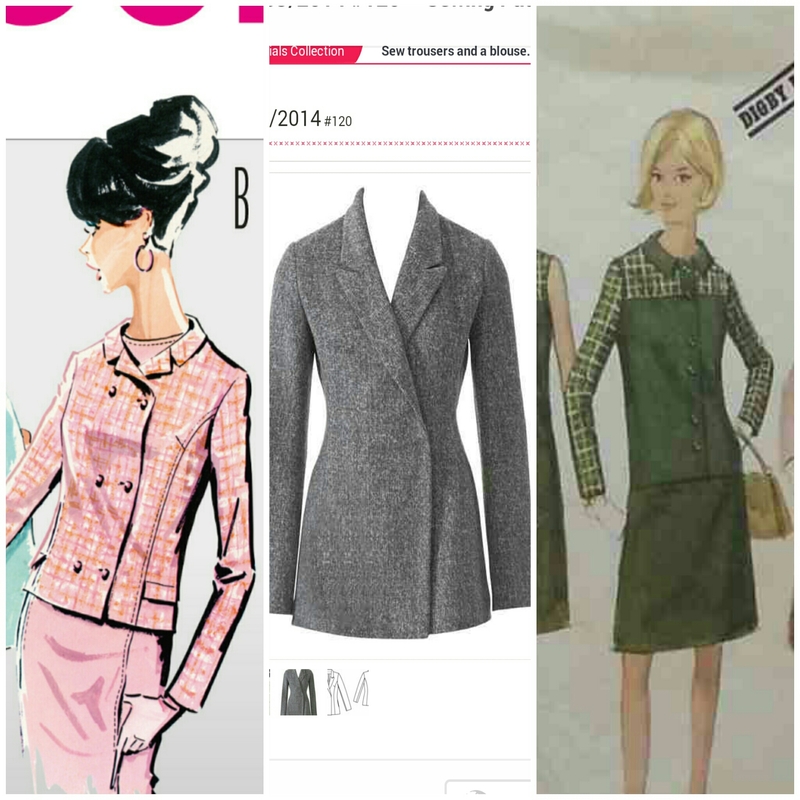 Burda Pattern 7115, Burda Download 9 2014 #120, and a Vintage McCall’s 8420. You can see I was interested in a notched collar and a pea coat shape. I did want something a bit longer than a jacket but not quite a coat. 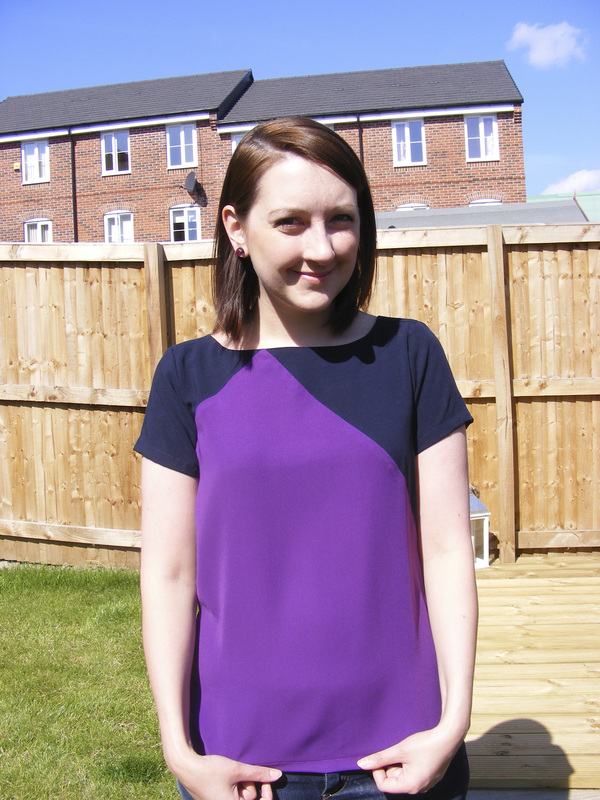 I came pretty close to drafting something myself but then I settled on the Burda and will adjust as needed (pattern on offer here). While shopping at Samuel Taylors in Leeds I saw a beautiful pale aqua wool coating but couldn’t shake the idea of a darker teal colour. And at SewBrum Barry’s came to the rescue with a lovely textured green coating half way between teal and emerald. And I already had coordinating thread in my stash yippee! 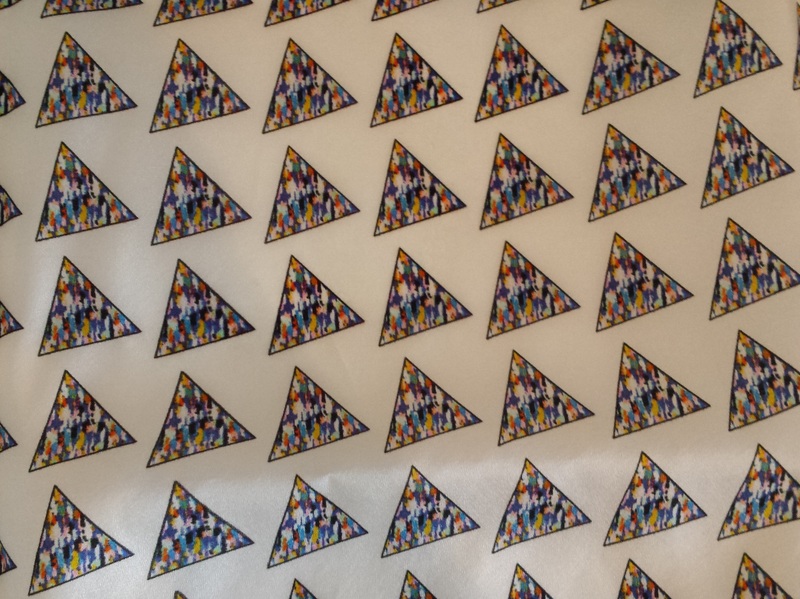 During a fortunate spot of eBay surfing last month I found a seller offering this gorgeous high heel print silk satin and snapped it up for the lining. It’s a soft grey colour with some shoes in outline only and others coloured in pink, green, yellow. Now I need fusible underlining and interfacing, and coordinating buttons. Sadly with all the Christmas sewing I’ve got on my plate I’m not sure when I’ll be able to make a toile but I hope it’ll be soon. I’d like to get back to selfish sewing haha.